Manoj Sinha the Minister of State for Railways on Tuesday announced that the rail ministry will submit a proposal to the union cabinet for the reconstruction of Ayodhya railway station as a replica of Ram Mandir. 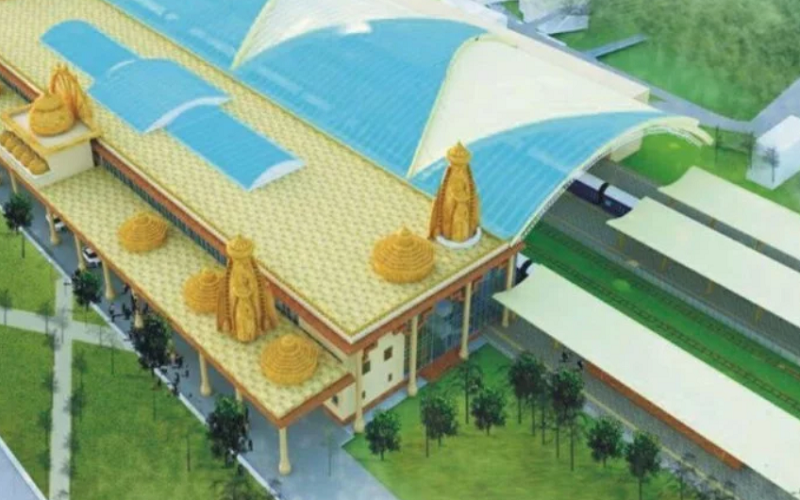 If approved, the railway station would be constructed in line with the Ram Mandir design which was proposed by the VHP in the late 1980s. This announcement was made by the minister after laying a foundation stone for projects worth more than Rs 200 crores in the city, which includes an allocation of Rs 80 crores for the railway station’s reconstruction. The rest Rs 120 crores would be spent towards shifting the railways’ goods yard in Ayodhya. The completion date for both these projects has been marked at 2021. 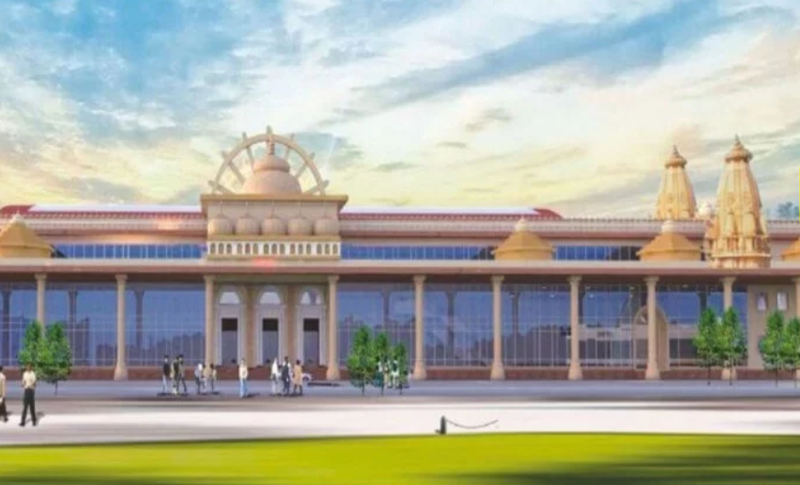 As per Sinha, the railway station would have state of the art facilities, which is in line with the government’s commitment to connect Ayodhya to the whole country so that Ram devotees around the country can visit the place. In line with this commitment, about Rs. 1,116 crores are being spent for track doubling and electrification of the Faizabad-Barabanki route, which is expected to be completed by 2022. As per BJP MP Vinay Katiyar who was also present at the foundation laying ceremony, Ayodhya railway station’s development is been discussed since the time when Atal Bihari Vajpayee was the Prime Minister. He further claimed that going by things, when the construction of the railway station ends, the construction of the Mandir at Lord Ram’s Janmabhoomi would begin. The local reports also claimed that the station would be equipped with facilities like Wi-Fi, CCTV cameras and spacious parking. They also quoted Manoj Sinha as saying that the Railway Ministry is going to give Ayodhya such a railway station which when seen by devotees and travellers, would make them proud about visiting Lord Ram’s city.